Do you guys still smoke your pipes when you have bites healing? Or do you wait till it's fully healed? Hell, I was really looking forward to a bowl to-day and one to-morrow. I didn't smoke to-day, and I'm wondering if I'm not letting all that 'smoke is always bad' BS get to me. no clue. but i haven't done that in awhile. other than typical answer, i personally would smoke unless that starts to make things worse. used to smoke cigarettes with that, and flu and everything else. but if it concerns you, taking few days won't hurt. LOL, Elbert: my dad suggested applying salt to the 'wound'. Yeah, the dentist told me that mouth tissue is designed to take abuse and heal rapidly. I'll see how it is in the morn, and then decide. Maybe, just maybe I can have a small aro bowl. Aro... hmm... isn't sugar used to heal wounds?? I’ve done that before. Whether to continue smoking or not is kind of a personal preference I suppose. I rinse with mouthwash a few times a day. Or at least in the morning after brushing and at night prior to sleeping. This really heals up any irritation or cuts inside the mouth. Usually overnight I see a huge difference. However, It doesn’t stop me from piping. Good luck. That’s a very annoying experience. a. I don't want to know the answer to that. b. Political posts are not allowed. Without question, the laceration will heal quicker if you don't smoke. Nicotine constructs the blood vessels thereby diminishing the circulation. It would likely heal regardless, just slower if you smoke. Just patch the laceration with pipe mud and keep smoking. Personal preference I guess, but I would just take a page out of Toms handbook and wait until everything heals up. It should only be a few days for you to heal, unless its some huge gaping wound (in which case see a doctor not a pipe forum!). I bit my tongue once to the point it bled and hurt like hell. 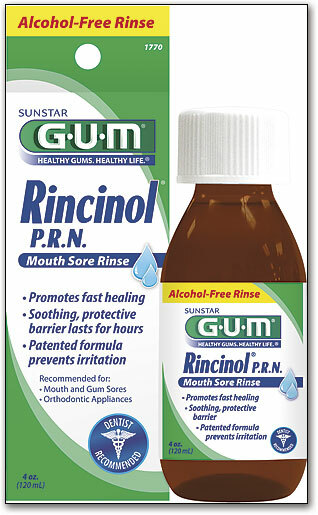 The pharmacist recommended GUM Rincinol. It speeds up the healing by coating the wound. As for me, I don't smoke my pipe with a sore in my mouth. When this happens, I wait for 24-72 hours or more, depending on the severity of the wound. I'd go Rinsing with sated water and limiting to max. two bowlsfuls per days. Not worth the risk for me. I love smoking, but I'd rather go without than accept that additional amount of risk. Does Stormy smoke a pipe? Well, I went ahead and had half a bowl of Dan's Sweet Vanilla Honeydew. Nice blend that one. I even managed to breath smoke for the first time! I was thinking, well, I eat, drink gin, hot coffee, cold ale, salsa, and what not... what harm can a little smoke do? I even managed to breath smoke for the first time! I also do the salt water trick. I'm a big fan of salt for all wounds, old school. Yep, another fan of very warm salt water gargle here. I personally wouldn't smoke till its healed. I would have suggested giving a break for a couple of days ... but I smoked right after having a root canal, so who the hell am I to talk? I've done both. I'd opt for taking a break, as with my recent oral surgery. I'm back with my pipe right now, but the surgery was weeks ago. As elbert points out, tobacco is a vasoconstrictor (love the word), which means all those little capillary blood vessels get more narrow. My worst experience with toughing it out, or one of them, was walking off a sprained ankle. Yeah, yeah, I walked around and assumed my body would take up the slack. A bunch of little blood vessels broke, and they still show, rather dismally, and that was twenty years ago. 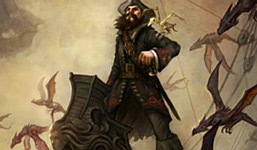 It didn't relate to pipe smoking so much, but to not letting things heal. A few days with ice would have been a better choice perhaps. I"d say, over the age of fifty, coddle yourself and be "tough" when you're in shape to do that. Before that, go with your instincts. How fast are you healing otherwise? If you have other drags on your healing, at any age, be conserving.